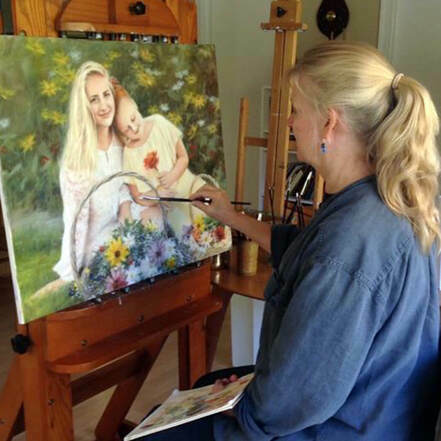 Over the course of her career Jan Bower has painted hundreds of commissioned portraits, which hang in corporate and private settings across the USA. She has illustrated 17 children's books in her signature realistic style, several of which have won national awards. 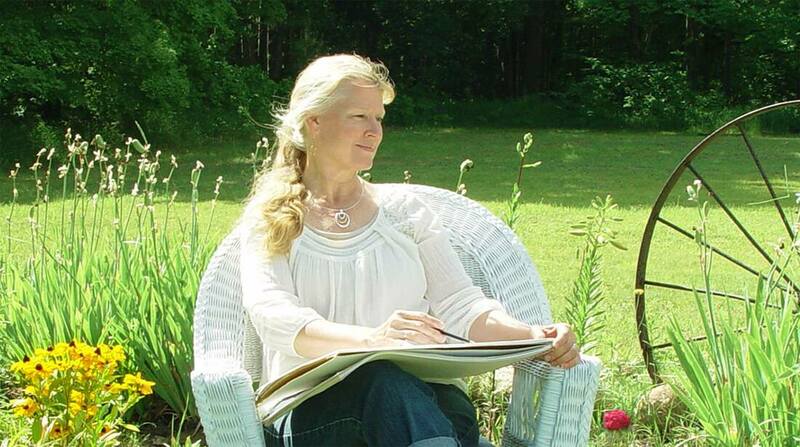 After teaching art classes for many years, Jan created Drawing Success, a 36-lesson DVD course which has received rave reviews and is being used in homes and classrooms around the world. She also teaches workshops in her studio. Jan and Gary, her husband of 40 years, live in Traverse City, Michigan, where they raised their twelve children, who all still live nearby. They have 26 grandchildren. 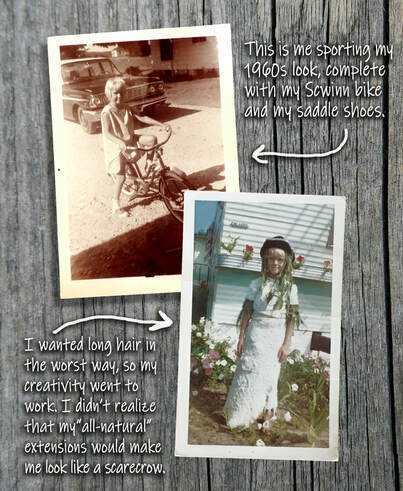 "I remember when I was very young, sitting with my ankles crossed and my hands folded as I watched my mom paint my portrait. I was mesmerized as she pushed what looked like creamy blobs of colored toothpaste across the canvas until a picture was formed. I thought painting must be the most fun thing a person could do, and I decided that I would try it someday, too. When I finally did, I was hooked! "I've always been a very visual person, and can be easily whisked away while looking at a meaningful painting. This was especially helpful in my adult years during chaotic times when I needed a little peace and quiet as I managed a houseful of people. I often calmed my soul as I took in a tranquil scene. "At the age of eleven I came to know and love my Savior, Jesus Christ. As I grew up my desire to paint also grew, along with a desire to use my art to encourage others to trust in the Lord. I deeply desire for my work to be helpful in taking others to a place of emotional refreshment and spiritual strength."